Before we can discuss new rules proposed by Major League Baseball, we first need to swallow a sour little pill—namely, the idea that baseball games are too long, too dull, and that something needs to be done about it. Not everyone agrees, but that’s how MLB feels and that’s the “problem” they’re bent on solving. In that effort, the MLB has introduced proposals to change the rules of the game to improve the speed and style of baseball. While some of these rules would certainly be fun to see implemented, in my opinion, others could be utterly disastrous. There are three categories of rules to evaluate: Those being implemented in the upcoming 2019 season; those on deck for the 2020 season; those being tested and evaluated in the Atlantic League—a top-rated independent league for would-be major-leaguers not already playing in an existing farm system—for two seasons before being considered for future adoption by the MLB. So, let’s walk through most of these proposed rules in greater detail, contemplating the potential upsides and downsides involved. Note, I’m skipping a few of the smaller, more technical rule changes in favor of the larger, more broad-reaching changes. This rule cuts the time down between innings from 2:05 to 2:00 in local games, and from 2:25 to 2:00 in national games, which is good. I mean, you could make an argument that even 25 seconds per inning doesn’t accumulate to much when it comes to the average, 3-plus hour game-day experience. Then again, if a tighter game is the goal, every little trim helps keep things moving along, and that’s a good thing. No real downside I can see. Green light! This rule reduces the number of mound visits each team can make in a game from six to five, which is fine. Last year, when the six-mound visit limitation was imposed, it was met with outcries of limiting team strategy and managerial preference, but it was barely an issue. Since implementing that visit limitation in 2018, teams reduced mound visits from 7.41 (2017 average) down to 3.78 (2018 average). Cutting down the limit from six to five shouldn’t impact much of the game as it’s now being played. Very minor downside, totally worth it. Ggreen light! This rule will increase the active rosters from 25 to 26 (Opening Day – August 31st) and decrease them during the September roster expansions from 40 to 28 (September 1st – end of season), which is great. Beyond just adding another player on rosters all season long (woo, jobs! ), this rule change fundamentally alters how teams will be structured and which players will end up playing in the majors. Mostly due to a requirement that the 26th player is a positional player (non-pitcher), but also because the rule includes an accompanying adjustment to the number of players called-up in September. That secondary change drastically reshapes the toolbox every team has at its disposal over the final games of the season, and more specifically, the roster construction that contending teams deploy in the middle of a playoff push. I tend to see more upside to this one, but there will be unpredictable reactions that might be odd, especially in September, so mostly a green light with a few hints of yellow. This rule will require pitchers to face either a minimum of three batters or the end of a half-inning (except for injury or illness), and this one is big. The intention is to positively impact the pace of baseball by eliminating the amount of single-batter pitching changes – if you’ve ever tuned into a ballgame in the 7th inning only to watch the next hour drag with 8 commercial breaks corresponding to 8 pitcher changes, you know just how brutal it can be. However, this change carries with it far-reaching impacts on the bullpen construction, pitch-count strategy, and pinch-hitter usage that all teams will respond to in their own way. Additionally, this rule essentially eliminates single-batter specialist pitchers – but they’re few and far between these days. While I think the positives outweigh the negatives, it’s worth anticipating a variety of consequences, including drastically reshaped bullpens moving forward. Mostly a green light, but some tiny reservations here too. This rule would further speed up the time between pitches, which is fine, but this rule (currently set at 30 seconds) is likely (and ironically) a waste of time – both because most pitchers already work at this pace and umpires rarely enforce the rule if/when they don’t. But I like this rule on one key principal: not for what it does to pitchers, but for what it does to batters. Any reduction to the number of batting gloves tweaks or batting helmet adjustments has my vote. Green lights ahead, floor it. 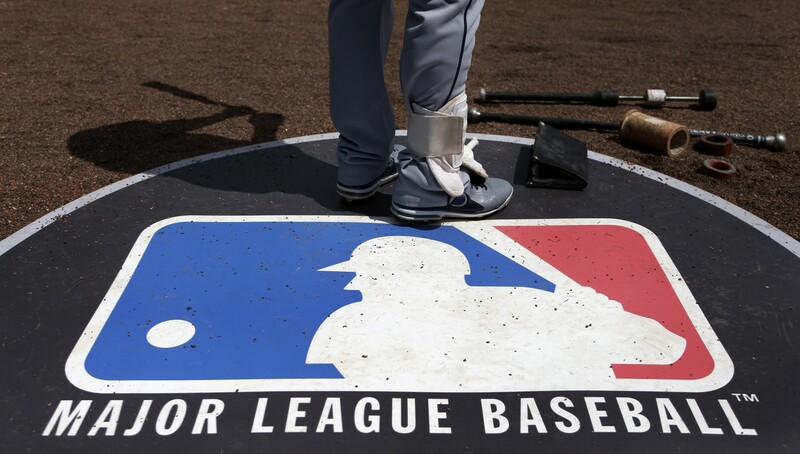 This rule would install digital tracking software currently used elsewhere in baseball to measure pitching accuracy in live games, allowing umpires to utilize the computers to call balls and strikes. This is interesting with an obvious upside—greater accuracy. And in general, more accuracy is a good thing. But it raises a pile of questions about how the application of this would affect everyday baseball. What happens when the umpire and TrackMan disagree about a borderline 3rd strike in a critical game? Will managers challenge the umpire to the TrackMan or will It be automatically deployed for any close calls? This rule will capture more of my attention during its testing period than most of the others, just so that I can see how it plays out when one team agrees with the call and the other doesn’t. We shall see, but for now this one is a full yellow light. Proceed with caution. While this rule would seem like a logical extension of the previous rule about reducing mound visits, it adds an entire other wrinkle to pitcher usage, strategy, and performance. But most meaningfully, it would completely change how teams communicate with each other. From the multiple ways team leadership would have to plan ahead for not visiting a pitcher mid-game to the delicate pitcher/catcher relationship and the successful deployment of signs, eliminating quick face-to-face visits on the mound is hard to imagine being well received. To me, this rule feels like an over-correction and I’d like to see mound visits reduced further before deploying something like this. So, strong yellow light, not worth the risk. This rule would be an extraordinarily significant change and I truly hope we don’t see such an over-adjustment come to pass. Moving the mound back 6 inches would be noticeable because as the distance between pitcher and batter grows, everything changes. The batter has more time to see the ball, identify the pitch, track its path toward home, and adjust his timing and swing accordingly. Correspondingly, the pitcher would have to change his throwing motion to create similar breaking ball trajectories and effect – resulting in likely slower fastballs and more devastating curves and sliders. Now, quadruple that 6-inch modification and consider how big of a change this would be. I like the idea, but I want it in a bite-size chuck first, to measure the positive and negative results. So, red light on this iteration, but yellow for a more measured version. This rule would essentially ban the shift, and as I stated in a previous article, I love the shift, so I don’t like this rule at all. What’s truly interesting about this proposal, though, is that it signifies the MLB’s desire for batters to hit more ground balls through the infield for singles (and the occasional double) and stop swinging for the fences with each batting appearance. Moreover, it also communicates that the batter’s natural development to beat the shift on their own (#RIPshiftkiller) is taking too long. I can’t dislike this one enough. Hard pass. Red Lights at rush hour. Oof. This rule would be the big enchilada of changes to the game. Universal DH isn’t a new idea, but it’s one of the most fiercely-debated and disagreed upon ideas in baseball. Those against the DH argue that the National League requiring pitchers to hit is a “pure” version of the game and to change that would taint the historic legacy of baseball. Supporters counter by saying that player types and team roster constructions have evolved and that the modern game is become unbalanced. From professional DH-only players to starting pitchers rarely completing more than 7 innings, it’s just a different sport than it once was. To install the universal DH across baseball would fundamentally alter the sport more than any other single change proposed thus far. It would inspire and doom new kinds of blockbuster trades. It would end and jumpstart multiple careers almost instantaneously. To put it directly, it would alter baseball as we know it forever. Maybe for the better, maybe not. Probably a bit of both. For me, this is a blazing sun shade of yellow, with decades of testing needed to tip the outcome either way. Regardless of how you might feel about some, or even most of these rules, I think it’s positive to see the MLB seriously addressing systemic issues in the game we all love. Last night, my beloved Mariners kicked off the season in Japan (with a WIN! ), enacting the first few of these rules in live games. Soon, all the other the teams will begin their 2019 seasons and we’ll start watching the effects take hold across the league. And depending on how the Atlantic League’s season goes – kicking off April 25th – we may never see some (or any) of the others come to pass at all. But for any that we do eventually see implemented in the MLB, I hope that whatever positive results found in the minors successfully translates to the majors. Because, as the saying often goes, it’s a whole other ballgame. Born and raised in Seattle, Jon developed a deep love for the Mariners and Seahawks and continues to watch, analyze, and discuss them on a daily basis. As a professional advertising copywriter, the blending of these two loves (sports/words) seemed like a natural creative evolution. He recently moved south to Tacoma, fully embracing his new hometeam, the Rainers.